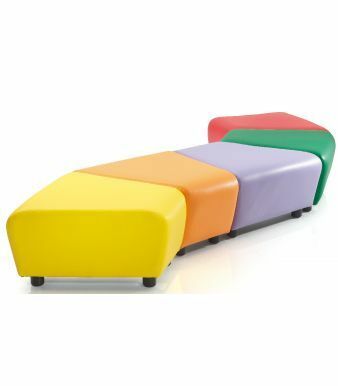 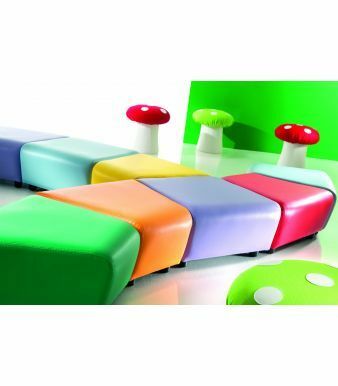 Modular angled stool from the Zig Zag junior range. 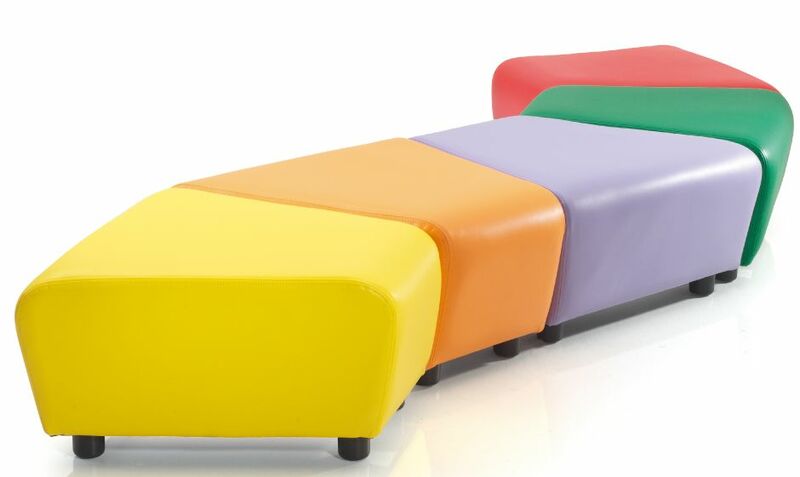 Can be upholstered in a range of crib 5 bright colour vinyl. 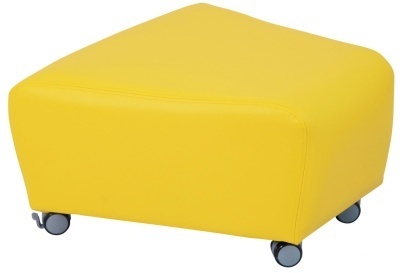 Choose between black nylon feet, chrome feet or lockable castors. 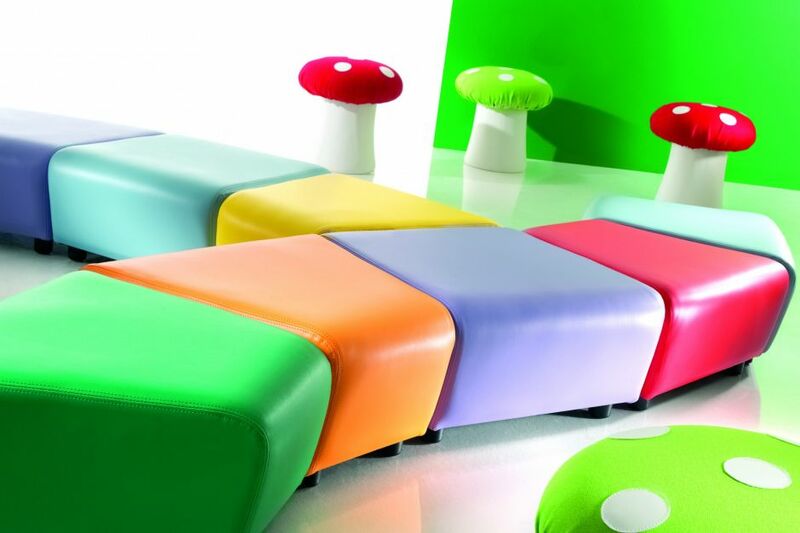 Perfect for use in large combinations.